Console makers are always working on new stuff - you know, tinkering. But Microsoft is putting its money where its mouth is and hiring up for what could very well be a new console. There are three job listings: one for a "hardware verification engineer", another for a "VLSI graphics architect" and one for a "VLSI performance architect". Note: VSLI stands for "Very Large Scale Integration". As website CVG points out, the engineer listing reads, "Come join a dynamic engineering team and play a key role in the development and verification of the Xbox and future platforms." That's innocuous stuff; however, the graphics architect gig offers a bit more enticement: "The Xbox Console Architecture team is hiring for a Graphics hardware architect position. The team is responsible for defining and delivering next generation console architectures from conception through implementation." 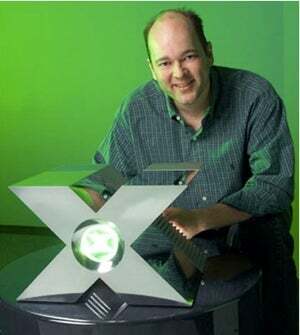 With the recent release of the Kinect, Microsoft has been bullish about the life expectancy of the current Xbox 360. But when you think that the console was released way back in 2005 and take into account the recent next-gen game engine demos (here and here), you can't help but think, yeah, we're about due. But when? Update: Microsoft tells Kotaku, We're always looking for talented people to join the Xbox team and help us to innovate Xbox 360 now and in the future. We don't have any further comment on this or any other job posting."